The Prambanan Temple in Indonesia is a magnificent masterpiece of human civilization and of the history of sculptures. The temple is enlisted among the wonders of human civilization and is given the status of a World Heritage Site by UNESCO. This temple is built on Hindu beliefs during the period of 9th century A.D. by kings of the Mataram Kingdom. 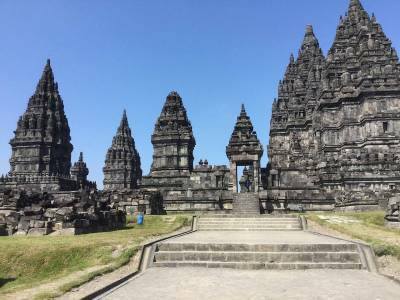 This majestic temple complex is located on the outskirts of Central Java about 17 KM away from the Yogyakarta City to the northeast at a boundary land between two provinces. 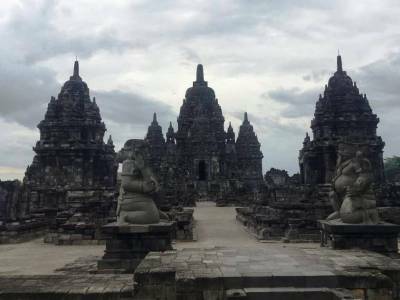 The Prambanan temple campus is constructed on a square acre landscape with all the divine sanctums being situated in the centre of the complex. The three main temples that are tallest among the lot, dedicated to the Trimurti or the three Lords of Hindu Mythology, are visible from long distance from all over the province. 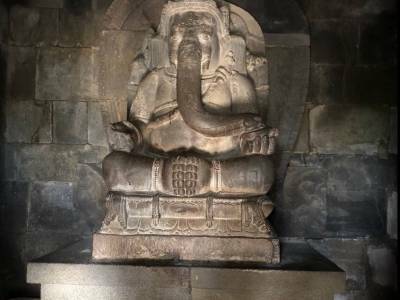 The history behind the building of the Prambanan temple complex is the shifting of religious belief from Buddhism to Hinduism in the 9th century A.D. when the power shifted from Mahayana Sailendra Dynasty to Shaivite Sanjaya Dynasty. The Prambanan temple is architecturally familiar to Hindu temples of India with tapering domes and well encarved sculptures. The three tallest temples among the 224 temples are dedicated to Lord Shiva (47 meters), Lord Brahma and Lord Vishnu. The Shiva temple is most magnificent with consort Lady Durga and faithful carrier Nandi temples beside it. The local Indonesian legend behind the temple is the story of Rara Jonggrang meaning the slender virgin. The tale is such that once lived a Prince Bandung Bondowoso who conquered the kingdom and wanted to marry the conquered Princess Rara Jonggrang. But the princess gave the prince a condition to marry but tricked him from fulfilling the condition. This enraged the prince and he cursed the princess to become a stone. This statue is called Rara Jonggrang and is same as the statue of Goddess Durga. 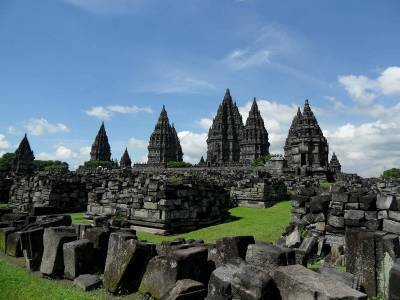 Prambanan Temple is however built on the Hindu epics of Ramayana and Mahabharata. Prambanan temple campus is filled with historical & religious wonders and the open theatre inside the courtyard is one of the very attractive sectors of Indonesian tourism. A visit to Prambanan Temple will enrich a traveler with both solace and thrill. 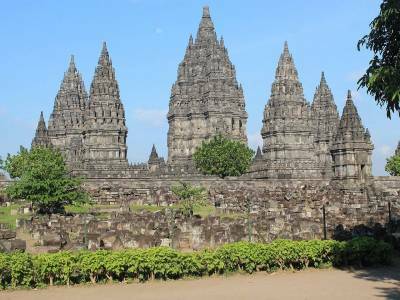 Get quick answers from travelers who visit to Prambanan Temple.